GUESS is a global lifestyle brand with a full range of denim, apparel and accessories offered in over 80 countries around the world. 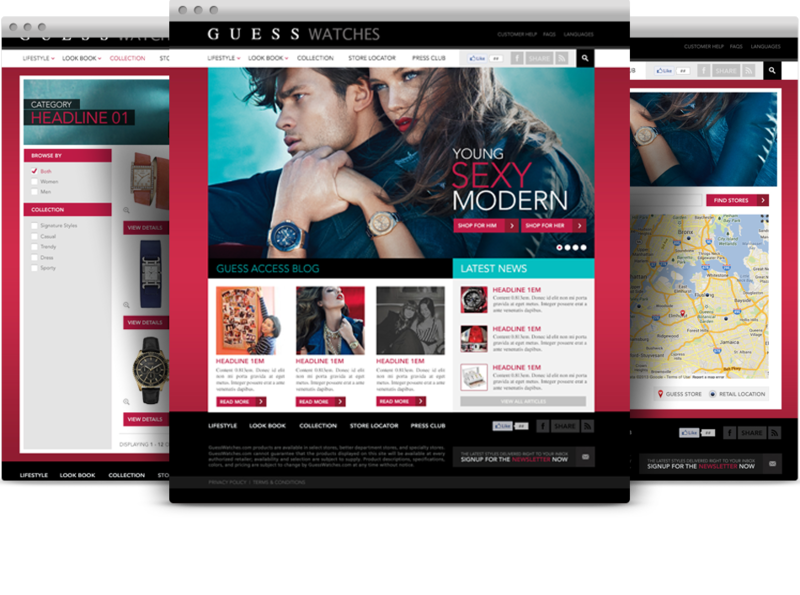 Drupal Connect has been working with GUESSWatches.com for over two years. In the past, some of the additions we undertook were geolocation, internationalization, and creating a multilingual site. For Fall 2013 we created a brand new theme for their beautiful new design, created new views for their improved blog, and added a new video series feature, Face 2 Face.